At St. Stephen’s Episcopal Church, we believe that Christian formation is a lifelong journey. It is our conviction that God forms us into the people God has created us to be as we study scripture, learn the teachings and traditions of the church, and listen to one another’s stories. 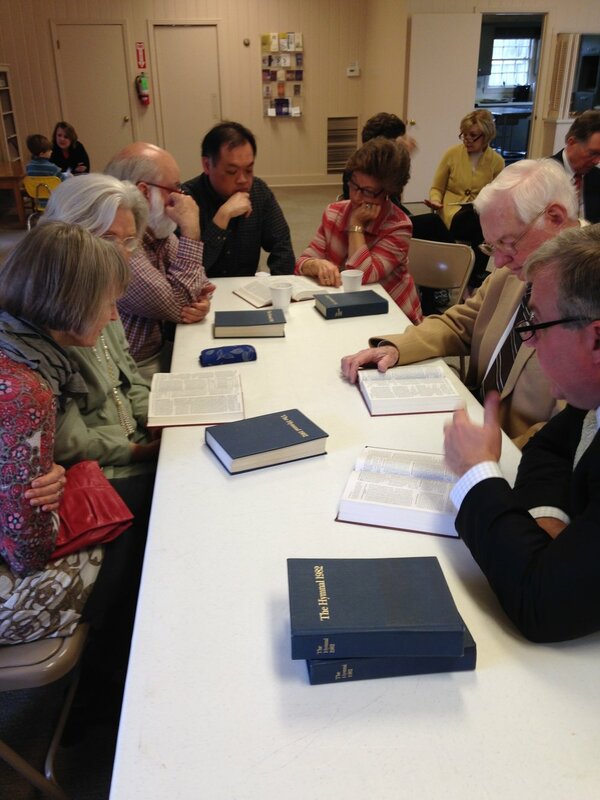 During the academic year, all ages gather at 9:30 am for Sunday School. Our teenagers and adults gather in the parish hall. Over snacks and coffee, we discuss matters of faith. We always invite newcomers to join us for our lively conversation and learning. We have a few different classes in the Early Building for children. Our caring volunteers delight in helping children grow in faith. We would love to welcome more children into the parish. We welcome you to give us a call if you are trying to decide if St. Stephen’s could be a good fit for your family. On a few special Sundays in the year, our whole parish gathers together for Christian Formation. On Palm Sunday, we enjoy hands-on learning leading up to Holy Week. On the First Sunday of Advent, we prepare Advent Wreathes together. Guest speakers from outside our area enhance our learning each year when we host luncheons that are open to the community. During Lent each year, we host classes to welcome newcomers to our community. Regardless of the time of year, the leadership at St. Stephen’s delights in sharing the faith with newcomers anytime.